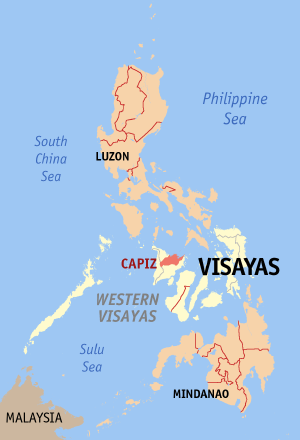 One of the hard- hit areas apart from Leyte is the province of Capiz. The province is composed of 16 municipalities and 95% of which are affected by the super typhoon which caused massive damage to agriculture, infrastructure and livelihood. One of the severely damaged edifices is the St. Pius X Seminary. “I was literally fighting for my life,” said Fr. Anthony Aguason who lost everything in the typhoon. Some priests are left with tears in their faces as they see their beloved Alma Mater ruthlessly damaged by Yolanda. But the greatest damage to the province is on the lives of the people. Many are left homeless in the aftermath of the typhoon. Some hospitals could not accommodate sick people anymore because they are badly hit also. Many people built makeshift houses along the highway so that they could easily be reached once the relief goods arrive in their locality. Clean potable water, food and medicines are scarce. 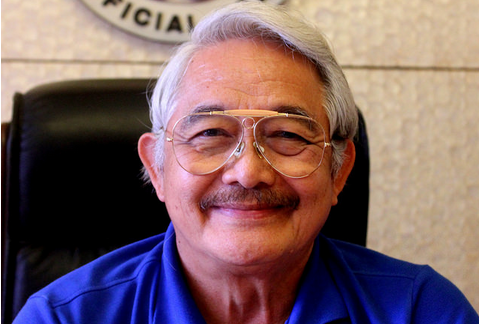 It was there that Victor A. Tanco, Sr., public servant for more than 45 years, and current governor of Capiz province, spent the days before, during and after Yolanda. It was also within the Capitol Building that the Provincial Disaster Risk Reduction Management Council (PDRRMC), established two years prior to Yolanda, were on hand to support the widespread disaster relief effort. The Governor emphasized how “we were prepared, we were listo (alert)!” to help limit the suffering of those affected. 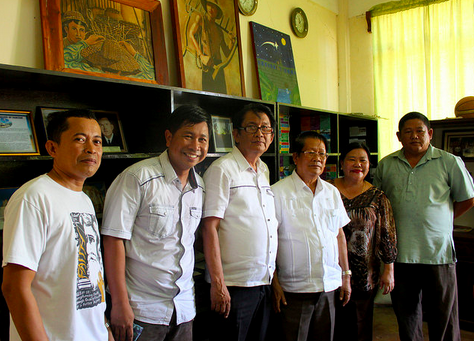 As a flood-prone agricultural municipality situated on the Panay river, the people of Dao know the benefits – along with the possible damage, and the dangers – that water can bring. Yet the sheer magnitude of Super Typhoon Yolanda was another experience entirely, wrecking destruction across the community, including the local public market and civic center. 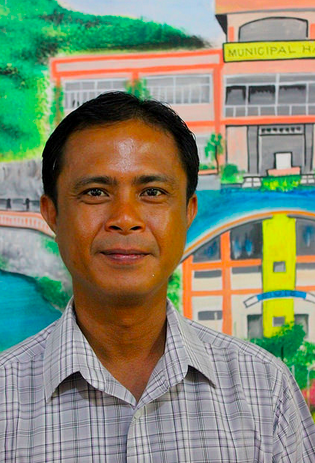 “The community here in Dao is very dependent in our infrastructure,” explains Joselito Y. Escutin, Dao’s Municipal Mayor. From the municipality right down to the barangay and sitio, the people of Dumalag had prepared as best they could for the coming of Super Typhoon Yolanda. While there were no casualties, government infrastructure – including the municipal hall, public market and civic center – were devastated by the typhoon’s sheer unstoppable magnitude. At local civic center, for example, the roof was blown away by the gale-force winds. There, witnesses could only watch on as gutters flew inside the civic center, circling around in close and dangerous vicinity to those close by. 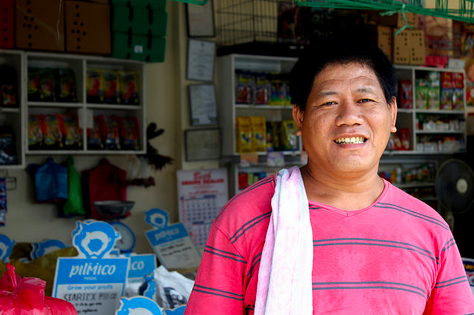 In Dumarao, Capiz, the local public market experienced significant damage during Yolanda’s onslaught. Over time, this event provided the community with a unique opportunity to improve that which had been destroyed, and become more disaster-resilient. 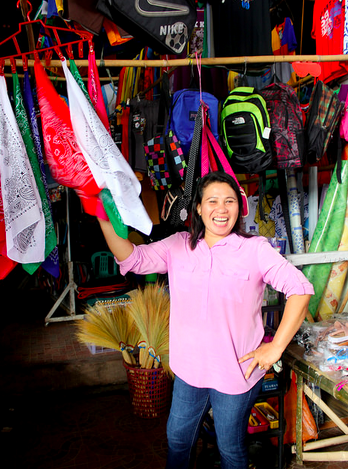 “We now have two market buildings: this means that more people are coming in the market,” says Marlyn. “It is a big deal for us. When our sales improve, it is a good indication that the marketplace and community are recovering,” she adds. Strategically located between the local high and elementary schools, the Panitan civic center provides a vital space for the municipality’s young people to gather, learn and socialize. Yet the structure of the building was no match for the magnitude of Yolanda. With much of the roofing was damaged, much of the surrounding area would be deemed unfit for use. As routine activities were cancelled, students, many of whom had experienced trauma during the disaster, were especially affected by the loss. Most days, visitors to the municipality to Pilar can expect to visit the local civic center and see a hive of activity underway. Situated right in front of the municipal hall, the civic center is a one-stop venue for all municipal activities – meeting, seminars, sports and even zumba – every afternoon. “It’s an ‘all-in-one’ facility, and the only such facility we have,” Mayor Gideon Ike R. Patricio explains. “We use the civic center for almost every activity in town.” The building also houses municipal vehicles, which provide a vital means of access to nearby coastal and mountainous areas. Badly damaged by Super Typhoon Yolanda, support from the RAY DILG fund has now provided for large-scale repairs that has seen a return to regular activities. These include the distribution of relief funds, and the roll-out of programs from other government agencies. During future calamities, the civic center will also serve the municipality as a evacuation center. Nor was the local civic center spared by Super Typhoon Yolanda. With support from RAY DILG funds, new steel frames were installed, along with roofing, new air-vents, and a repaired roll-up door for easy public access. As Rowena O. Villas, a local DSWD community welfare assistant explains, it is perhaps one of the most significant venues in the municipality: an important gathering point for young and old alike. That’s how Menche Franciso, a feeds and rice vendor from President Roxas, Capiz, describes the arrival of Super Typhoon Yolanda. 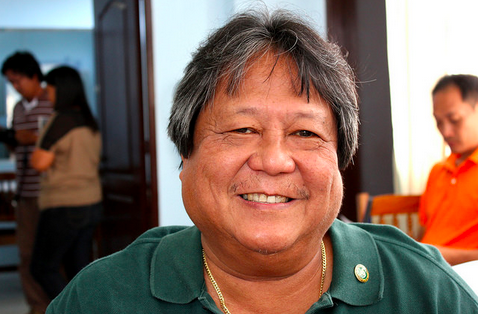 For engineer Ardieli A. Ambrosio, the lessons of Super Typhoon Yolanda will serve the community of Roxas City for a lifetime. By November 6, those in coastal areas had already received orders to evacuate. 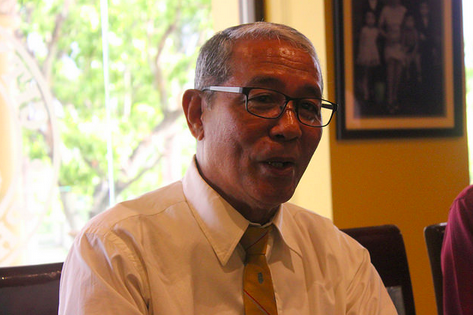 “Even though we’ve experienced Signal 3 typhoons, the last time I’d experienced a typhoon like Yolanda was in 1984, with typhoon Undang,” he remembers. 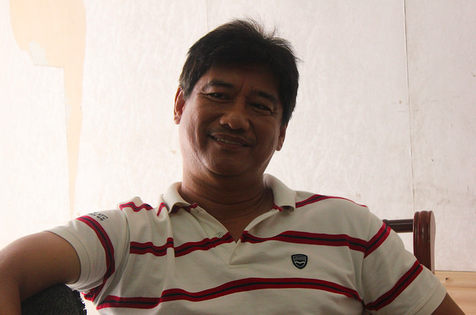 In Capiz, the small coastal town of Sapian was among those hardest hit by Yolanda. 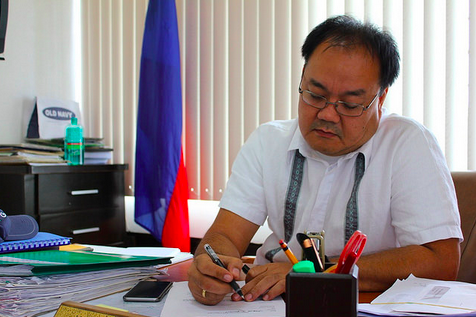 Among the ten barangays that make up the municipality, an estimated 5,000 families – or some 24,000 people – were affected in the super typhoon’s immediate aftermath. 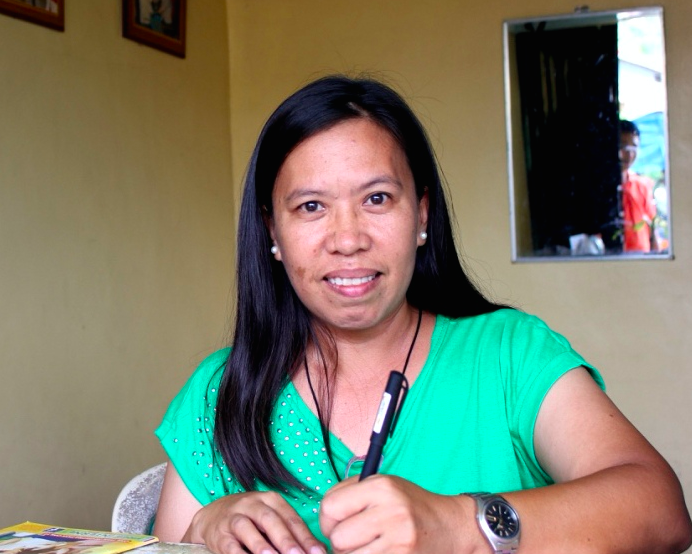 Marlyn O. Arcangeles, a local ukay-ukay vendor, remembers how in days prior, officials from the DRRMC roamed around the town with a sound system, announcing the expected arrival of typhoon Yolanda. The municipality of Tapaz, situated inland in the western part of Capiz, is home to 58 barangays , some in remote, mountainous areas. 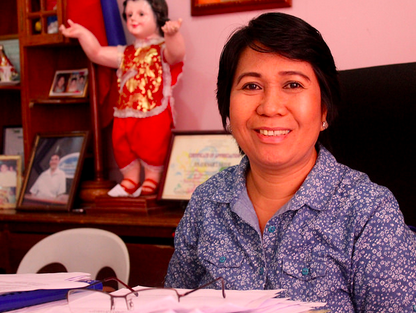 Conscious of the need to travel information far and wide, municipal Mayor Rosemary F. Gardose sought to prepare the community early as Super Typhoon Yolanda approached.